CLOSEOUTS. 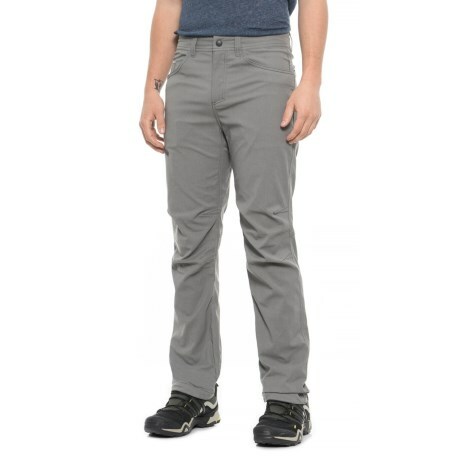 These Royal Robbins Alpine Road pants offer style for the cafe and mobility for the slab thanks to a stretchy, water-resistant blend of nylon, performance fabric and spandex as well as articulation at the knees. Available Colors: PEWTER.